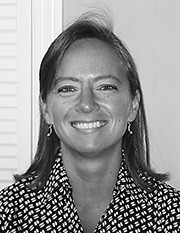 Dr. Ellen Nichols has been a chiropractor for over 20 years. She graduated from New York Chiropractic College in 1996 and has been practicing chiropractic in the Glens Falls/Queensbury area since March of 1997. She graduated from SUNY Binghamton in 1992 with a Bachelor of Science degree in Biochemistry. She has been at Tackett Chiropractic Center in Queensbury since 2009 where she cares for patients of all ages. Techniques/certifications include Diversified, Thompson Drop Table, Activator, and Blair Primary.